While we’re away in sunny Corfu chomping on the mutton, slapping on the sunscreen, gassing the bugs and gagging on the retsina (despite sage advice to go easy on the hard stuff from Annie at Back to Bodrum), here are a few snaps to remind us of home sweet home. It’s not been a bad summer, all things considered. By the way, Liam cheats at Scrabble. I’m a sucker for an old dame, particularly those two old Dames Judi and Maggie. They light up my screen. My all-time fave is Tea with Mussolini, a regular winter warmer on a chilly night. But any film with them in will do. I’m not fussy. 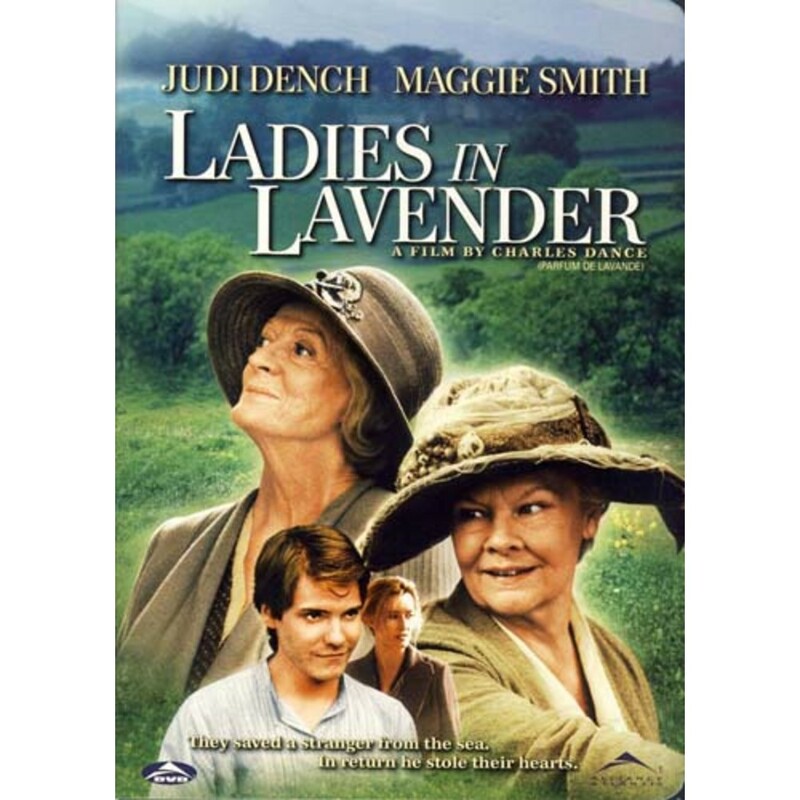 A less well-known screen outing for the pair was Ladies in Lavender, a tender tale of two elderly sisters living quietly in a Cornish fishing village during the thirties who scoop up a handsome young Pole from the beach after he was swept overboard during a storm. They nurse him to health, causing a stir among the locals – and the stirring of long repressed feelings for sister Ursula, played by Judi. The whole thing is a joy to watch, a moral tale of a rescue without hesitation or fear of an economic migrant washed up on a foreign shore. Rather relevant today, don’t you think? And there’s a real Billy Elliot moment at the end that gets me every time. So, when the stage version of the film came to Norwich’s Maddermarket Theatre, we just had to see it (even though neither Dame was in it, obviously). It was a sterling effort from the cast with the best lines reserved for the housekeeper and delivered with great comic timing. The performance got an enthusiastic hand at the end but I couldn’t help wondering if the message was lost on the mostly elderly audience with their curls, pearls and comfy lives. I hope I’m wrong. 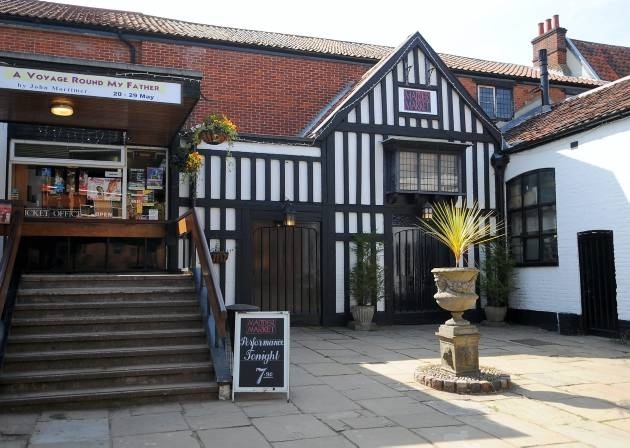 Friday night was theatre night and Liam fancied a slice of am dram at the Maddermarket. When he announced we were to see Urinetown, I thought he was taking the pissoir: a show about a public loo? Fortified by a large glass of white and resigned to grin and bear it, I took my pew and surveyed the crowd. On most cultural excursions we’re generally surrounded by the good and the grey of the county. This audience was decidedly younger and trendier. Perhaps they knew something I didn’t. Turns out they did. The production was foot-tapping fun but with a dark edge, an everyday tale of environmental degradation, unfettered capitalism, corporate greed, rampant public corruption and a restive mob – all set to a score of soaring tunes that parodies some of the more pompous musicals like Les Misérables. I spied a nod to Romeo and Juliet too. The mob triumphs but, alas, it doesn’t end well. Urinetown is a show with a message. It may have been am dram from the Sound Ideas Theatre Company but you could hardly tell. The live band was a classy touch and there were several stand-out performances from the cast. But for me, the star of the show was seventeen year old Nicola Myers who played ‘Little Sally’ with pathos and humour accompanied by a cracking set of pipes. I predict a great future. All the images are courtesy of the Sound Ideas Facebook page. 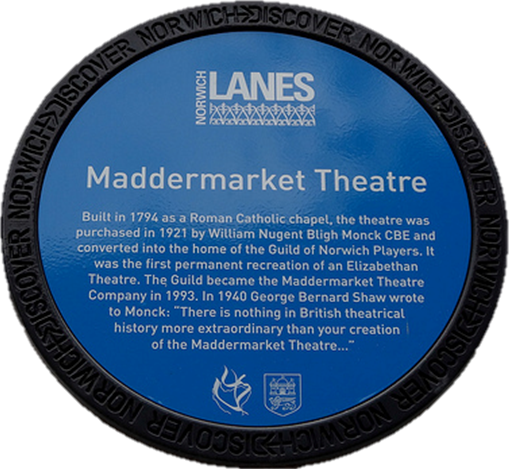 A damp and dingy Saturday afternoon saw us at the Maddermarket Theatre for an am-dram matinee courtesy of the Norwich Players. We were Maddermarket virgins and I fancied a peek at the converted Catholic chapel. A striking Sixties’ add-on foyer looked better on the outside and led us to the interior of the church, reconfigured as an Elizabethan playhouse. We took our pews for The Crucible, Arthur Miller’s loud and densely scripted account of the Salem Witch Trials in colonial Massachusetts at the end of the Seventeenth Century. I looked around the audience. Many of them could well have sailed on the Mayflower. By now, we’re used to mingling with the grey herd at Norwich’s cultural events, but the care homes of Norfolk must have been deserted that afternoon. When the over-generous use of dry ice to create the misty ambience of a midnight glade threatened to gas the first four rows, I feared some of the punters might not make it back to the coach.